Jawaharlal Nehru was India's first prime minister. 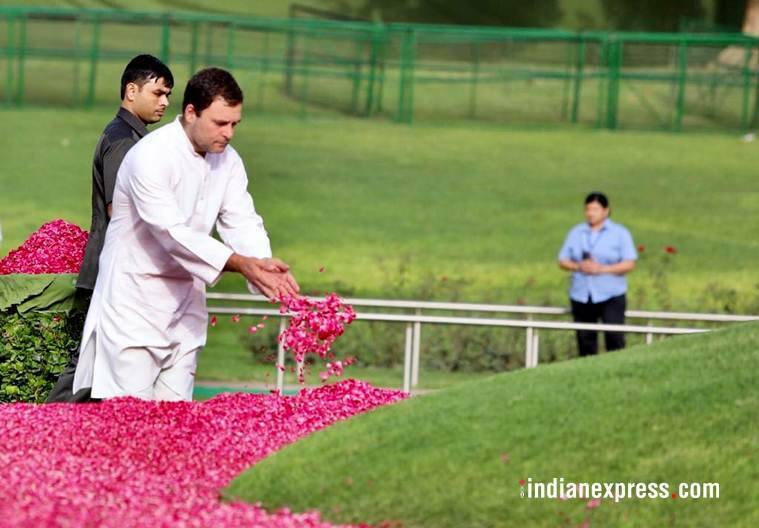 Sunday, May 27, marks the 54th death anniversary of Nehru. “The light is out.” Jawaharlal Nehru’s death was announced in Parliament on May 27, 1964. He was India’s first prime minister and served 17 years in office after playing an integral role in achieving its Independence. His midnight address on August 15, 1947, announcing India’s freedom to the world, is regarded as one of the most historic speeches made by a political leader. “At the stroke of the midnight hour, when the world sleeps, India will awake to life and freedom,” he said. Widely regarded as the ‘Architect of modern India’, he helped shape the constitution before it was adopted by Parliament on January 26, 1950. Many of his policies, however, came under criticism after his death. His daughter, Indira Gandhi, went on to become the first woman prime minister of the country. Mentored by Nehru during his days as Congress chief, she was a force to reckon with and was widely regarded as the ‘Iron Lady’ of India. Born on November 14, 1889, his birthday is celebrated as ‘Children’s Day’ in India. He was fondly called “chacha Nehru” by children. 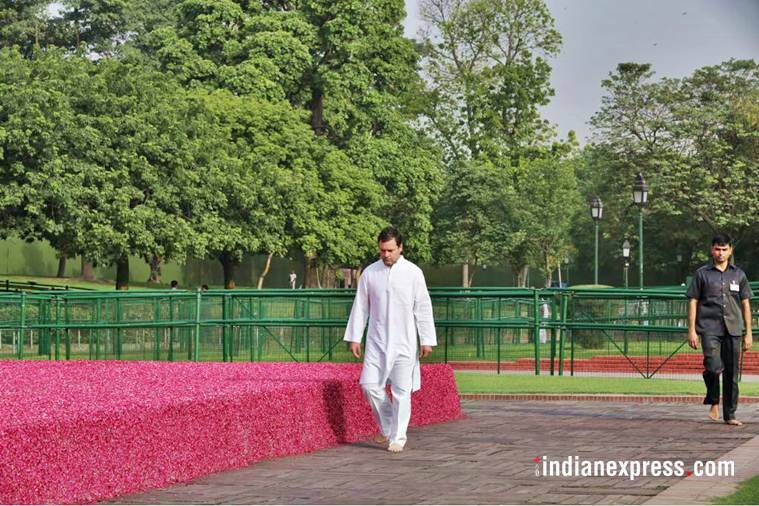 Sunday, May 27, marks the 54th death anniversary of Nehru.
. @CitiznMukherjee: When we pay homage to Nehru we do a duty to ourselves — and we take a pledge that we cannot betray this man, his vision and his discovery of India. Speaking on the occasion, former president Pranab Mukherjee says, "Observations, comments on Jawaharlal Nehru can never come to an end." He adds, "He (Jawaharlal Nehru) is the architect of the modern democratic set up of India. 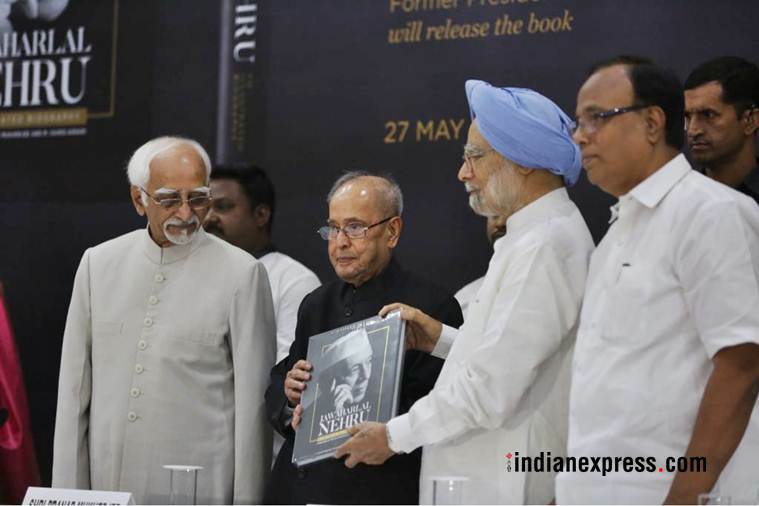 India would have gone in the way many other newly liberated countries have gone but for his contribution to democracy and India’s democratic institutions. All of this under one Flag, one identity — Indian." 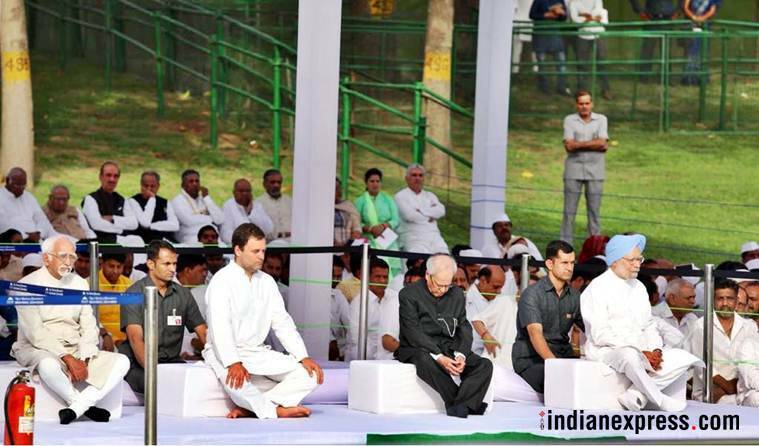 Former chief minister of Haryana Bhupinder Singh Hooda paid tributes to Nehru. 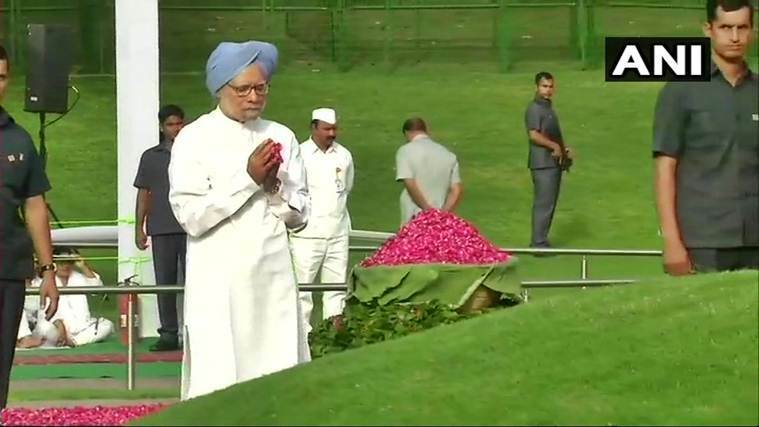 Former Karnataka chief minister and Congress leader Siddaramaiah also paid tributes to the first prime minister. 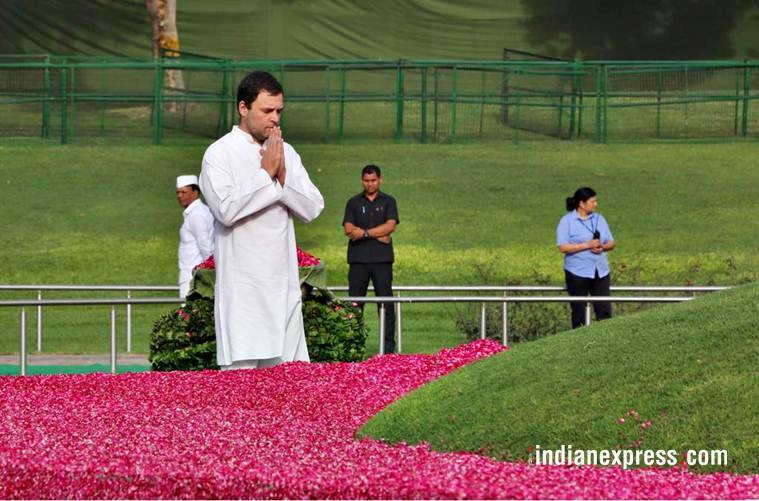 Former chief minister of Delhi and Congress leader Sheila Dikshit pays tributes to Jawaharlal Nehru. "He was the architect of the dream called India," she wrote on twitter. Union Minister Ram Vilas Paswan pays tributes to Jawaharlal Nehru. 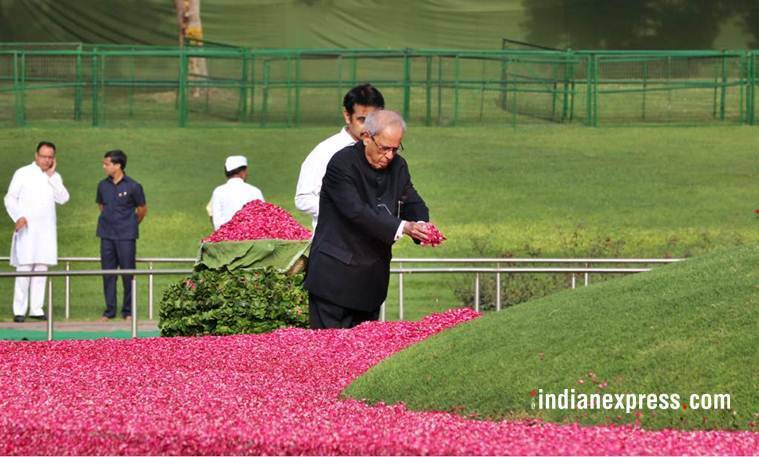 Union Home Minister Rajnath Singh also paid respects to Nehru. "My humble tributes to India’s first Prime Minister Pandit Jawaharlal Nehru, on his death anniversary," he wrote on twitter. भारत के प्रथम प्रधानमंत्री पंडित जवाहरलाल नेहरू की पुण्यतिथि पर मैं उन्हें अपनी विनम्र श्रद्धांजलि अर्पित करता हूँ. My humble tributes to India’s first Prime Minister Pandit Jawaharlal Nehru, on his death anniversary. 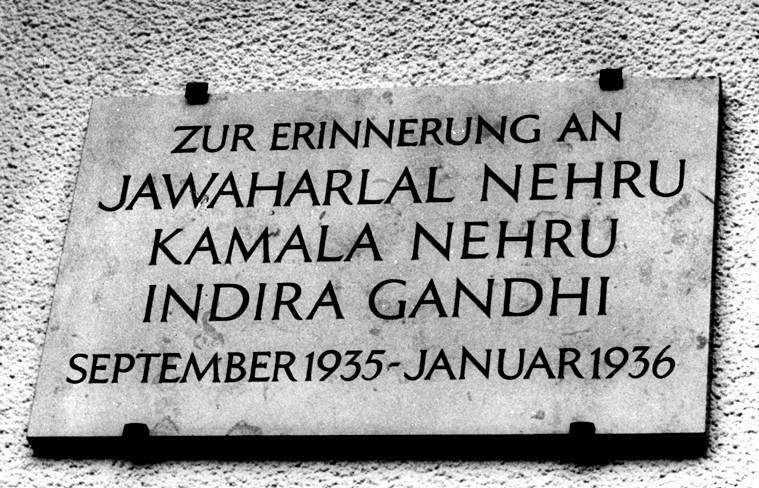 Congress national spokesperson Randeep Singh Surjewala paid tributes to Jawaharlal Nehru on twitter, addressing the first PM as "architect of modern India, foundation layer of myriad institutions, invaluable contributor in national movement, filled with democratic values and provider of speed, progress and advancement to India." West Bengal Chief Minister and president of the Trinamool Congress Mamata Banerjee paid homage to Jawaharlal Nehru. "Homage to the first Prime Minister of India, Jawaharlal Nehru, on his death anniversary," she said on twitter. 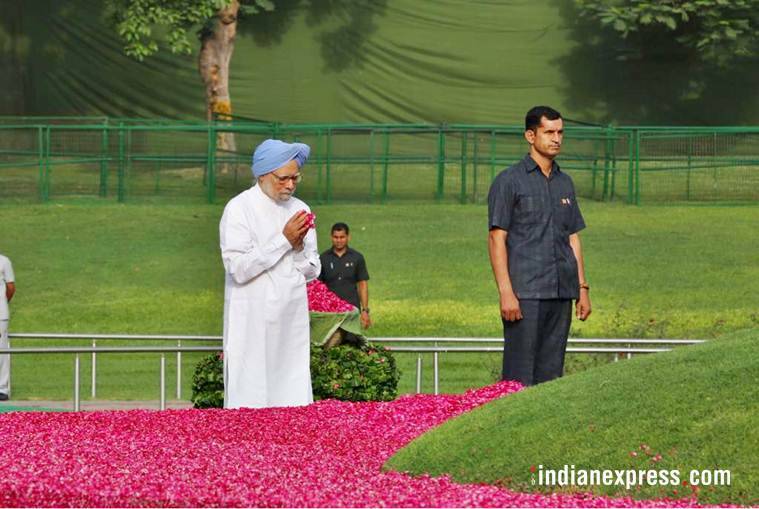 Prime Minister Narendra Modi on Sunday morning paid tributes to Nehru. 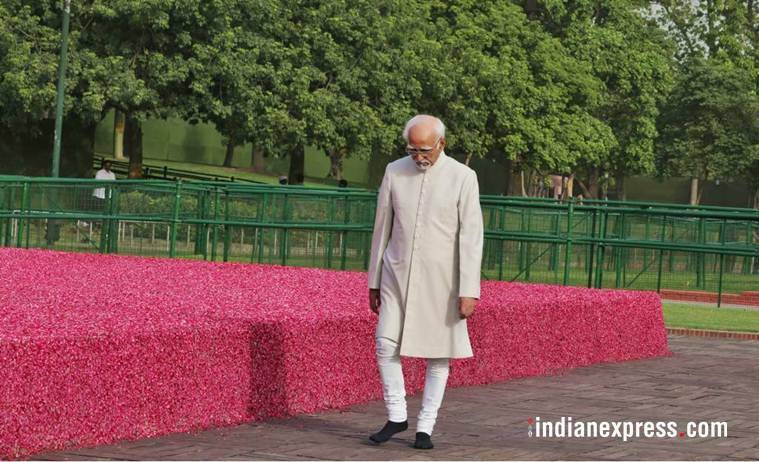 In a tweet, Modi said, "Tributes to our first Prime Minister, Pandit Jawaharlal Nehru on his death anniversary." Jawaharlal Nehru was born on November 14, 1889, in Uttar Pradesh's Allahabad to Motilal Nehru, a wealthy barrister and Swaruprani Thussu. 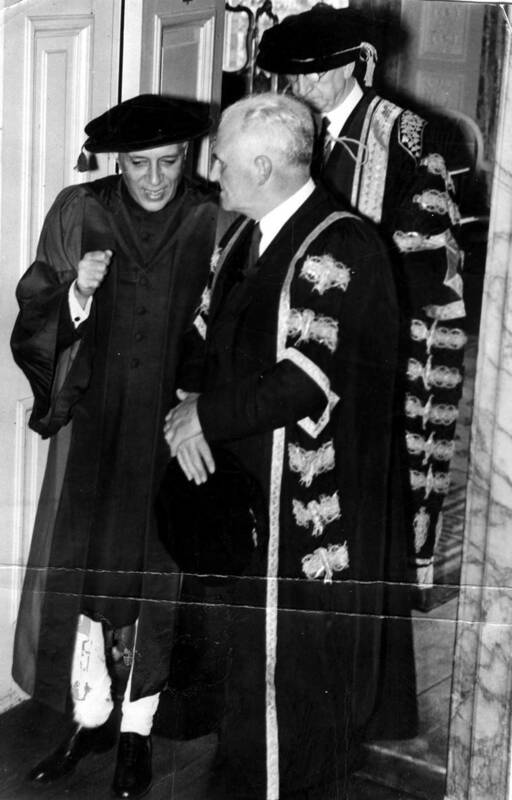 Nehru went to London for studies where he attended Cambridge's Trinity College. After his return, he briefly worked as an advocate at the Allahabad High Court and then later joined politics. He was chosen twice as president of the Indian National Congress during India's freedom struggle. As India's first prime minister, he played an important role in shaping the constitution of the country.